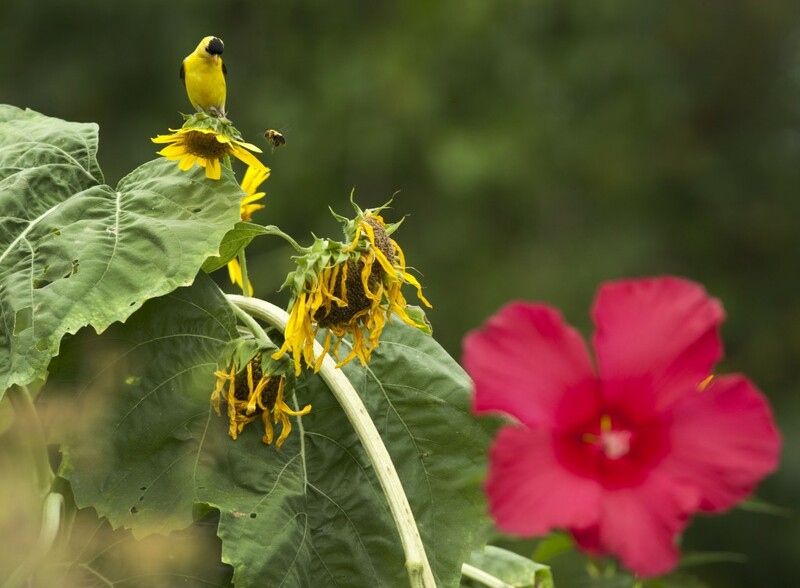 Certified Wildlife Habitat – Tomato Town organically grows heirloom tomatoes in the greater Kansas City area as well as Johnson County, Leawood, Lenexa, Olathe, Shawnee, Merriam KS, Independence MO and Kansas City Missouri, KCMO. Varieties include: Cherokee Purple, Brandywine, Stupice, Carbon, Black Krim, Black Cherry, Yellow Pear, Absinthe and Aunt Ruby’s German Green. As our loyal readers know, TomatoTown is not only a place for heirloom tomatoes, but also a safe haven for all manner of creatures. 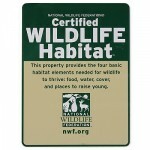 On a couple of garden tours I’ve done over the years I’ve seen signs touting an area as a ‘Certified Wildlife Habitat’. 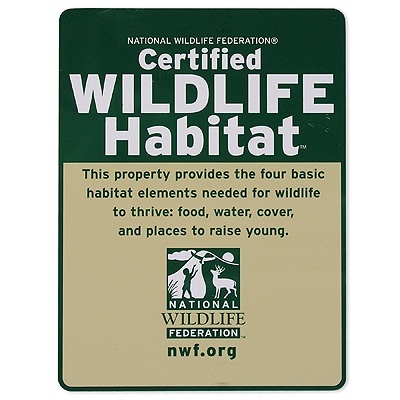 I always been curious about how the process works, so we recently became a ‘Certified Wildlife Habitat’ through the National Wildlife Federation – just for fun. You pony up $20, answer a few questions about your habitat and you are done. You have to have water, food sources, cover and places for animals to raise their young. We’ve got all that! To get the cool sign below, we’d have to spend $30, and right now, the gardening budget doesn’t allow for that. This entry was posted on Sunday, July 24th, 2011 at 11:22 am. It is filed under Garden Advice. You can follow any responses to this entry through the RSS 2.0 feed.